Candelaria, near Mina Nevada, has produced some of Nevada’s finest turquoise. Mined from the Northern Belle silver mine, the turquoise deposits produced a bright blue turquoise that rivaled the best material any of the other Nevada turquoise mines could offer. 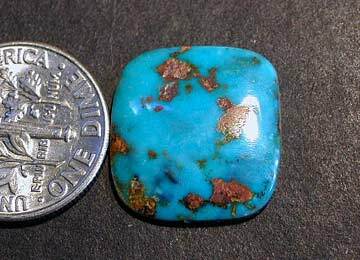 Today Candelaria turquoise is very rare and seldom seen.